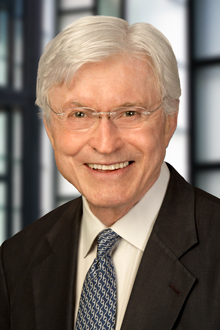 Dennis Holahan is a partner in the San Francisco office of Lewis Brisbois and a member of the Entertainment, Media and Sports Practice. Before joining Lewis Brisbois in August 2014, Mr. Holahan’s firm was one of the top entertainment and business related litigation boutiques in Los Angeles. The firm held the highest rating given by Martindale Hubbell for legal ability and ethical standards. Mr. Holahan's practice ranges from representing writers and producers for entertainment industry contracts to litigating entertainment related business disputes including breach of contract, misappropriation of name and likeness, defamation, invasion of privacy, breach of royalty obligations, and many more. Mr. Holahan has represented celebrities in litigation over misappropriation of name an likeness, has obtained a $2 million jury verdict and judgment (upheld on appeal) against a major music performer for breach of a touring agreement; has negotiated movie contracts for best selling authors; has negotiated writers' credits with the WGA; has represented talent agencies in disputes with talent, and has negotiated series deals with HBO and Showtime. Mr. Holahan took a 16 year hiatus from his law career to pursue a successful acting career, appearing in Scarface with Al Pacino, MASH and many other feature films and television shows. PM Group, Inc., et al. v. Rod Stewart, et al. 154 Cal.App.4th 55, 64 Cal.Rptr.3rd 227 (Cal.App. 2 Dist., 2007). Animal Film, LLC v. D.E.J. Productions, Inc. 193 Cal.App. 4th 466, 123 Cal.Rptr. 3rd 72 (Cal.App. 2 Dist., 2011). Mr. Holahan served as an officer in the United States Navy on an amphibious assault ship in Vietnam from 1967-1969. He was awarded four bronze service stars for his service between January 1967 and May 1969. Mr. Holahan serves on the boards of several charities in the field of recovery from alcoholism and drug addiction, as well as foster care placement. Mr. Holahan has two children and seven grandchildren. Mr. Holahan is active in the area of drug and alcohol recovery and serves on the board of McIntyre House, a non-profit recovery house for men recovering from alcoholism and drug addiction located in Los Angeles. Mr. Holahan also serves on the board of Worth Our Weight, a non-profit organization in Santa Rosa which trains and educates teenagers and young adults who have survived foster care programs and teaches them how to work in the fine dining industry.